Remember: Jepson Center’s museum gift shop and atrium are free to access during regular museum hours & museum admission is not required for you to shop, but visitors can also pay admission to enjoy the Monet to Matisse exhibition if they so choose. All are cordially invited to St. Vincent’s Academy’s 9th Annual Christmas Shopping Extravaganza on Thursday evening, Nov. 29, 6-9PM, sure to be the biggest and best shopping night ever! Come one-stop shop at over 40 local boutiques for holiday gifts while enjoying complimentary, delicious hors d’oeuvres and festive beverages. Charity Admission is $15 and supports SVA Scholarship & Aid. Special thanks to St. Vincent’s generous sponsors: Ashley’s Business Solutions, Bahama Joe’s, Cathedral of St. John the Baptist, Cowart Group Architects, Jan-Pro Cleaning Systems, Sandpiper Supply Co., USI Insurance Services, Yates-Astro, Chu’s Liquors, Johnnie Ganem’s & Empire Distributing. St. Vincent’s Academy is a Catholic, all-girls high school graduating Women Who Lead in Savannah, across the nation, and around the globe! UPDATE: Haley Shearouse is the winner of the Britax stroller! Congratulations. We know our SouthernMamas.com are always on-the-go. The G3 stroller features stylish, high-quality fabric with a premium feel. And a quick one-step fold makes this ideal for active families. This brand new giveaway stroller is black. 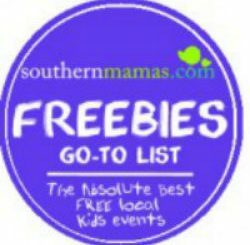 To enter to win, go to the giveaway announcement post on our SouthernMamas.com Facebook by clicking here & comment on it telling us your pick for best local pediatrician, or local OB-GYN or local dentist. THEN SHARE THE POST. Deadline to enter to win is 10PM this Sun. Oct. 28. We’ll pick a winner at random & announce it here; on our Facebook page & on Instagram. The B-Ready stroller also offers 12 different seating options, a large storage basket and quick-fold design for families on-the-go. With the capabilities to be used as a single or double stroller, and available as a travel system, B-Ready G3 delivers comfort that little ones deserve and versatility for growing families. The stroller is suitable for newborns when used with the infant car seat, bassinet or second seat (sold separately), and can be used for children 6 months old and up to 55 lbs. using the stroller’s top seat (included). For a convenient connection to any Britax infant car seat or bassinet, the Click & Go® System creates an on-the-go travel system. Other major infant car seat brands also connect to the B-Ready G3 when used with an approved Britax car seat adapter. The quick-fold design easily closes the stroller in seconds. 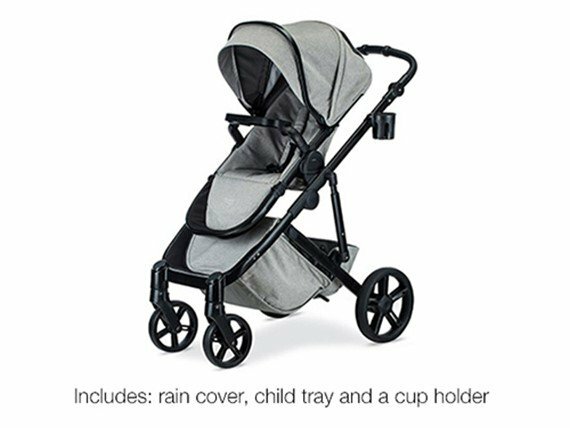 An adjustable handle height with comfort grip raises and lowers to provide the best fit for parents of all heights, and the stroller’s foam-filled rubber tires and suspension system offer little ones an ultra-smooth ride. 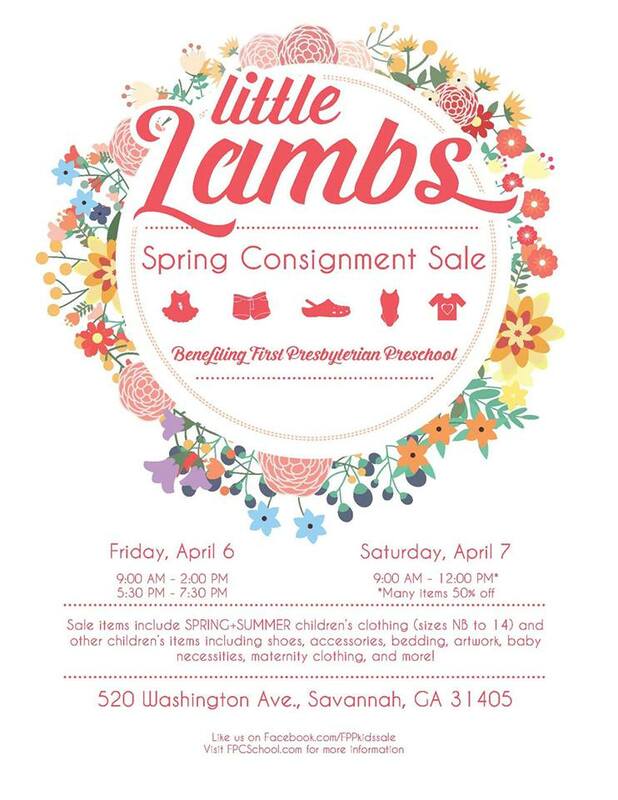 Savannah’s premier consignment event since 2010 – High Cotton Kids – is set for March 1-3 2018! Come shop consignment at its finest. High Cotton Kids is THE place to save a lot of money, make a lot of money and have a great time doing both! This spring’s upscale resale shopping event will have thousands of high-end boutique children’s brand clothing sizes 0-16 and many other items. There will also be a variety of sponsors and vendors with great products, merchandise and services. Consignor registration is open! Clean out and cash in, consignors can receive 60-70% of their sales! High Cotton Kids also accepts high-end maternity clothing, children’s furniture, artwork, baby and nursery necessities (e.g. bouncers, exercausers, etc. 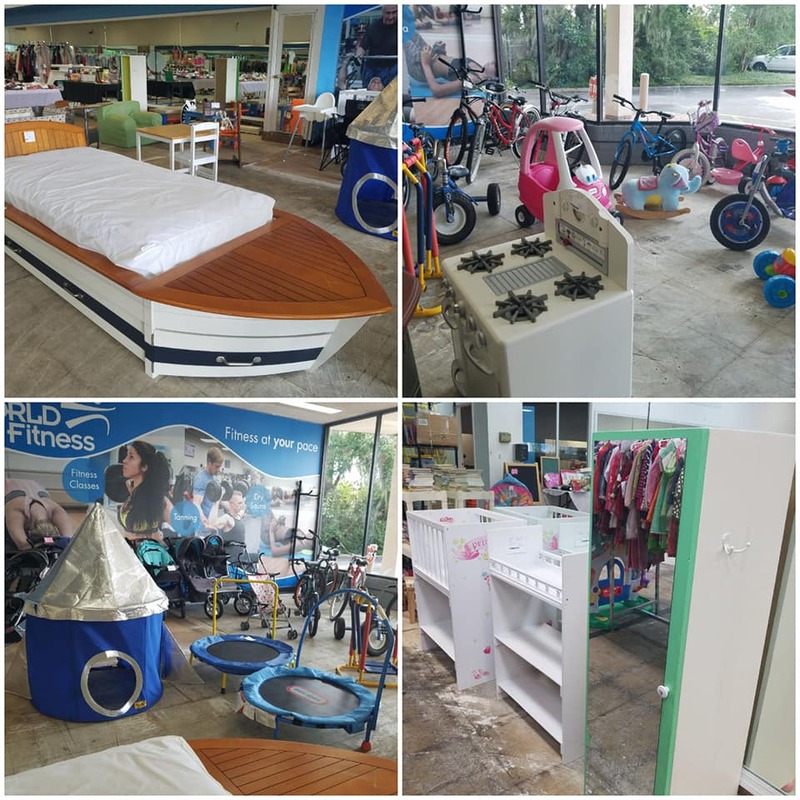 ), strollers, toys, books, DVDs and more. For a complete list of items High Cotton Kids accept and do not accept click here. 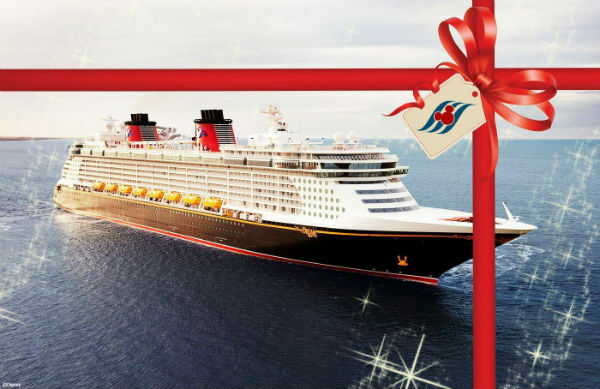 Have a budding artist on your list this holiday season? 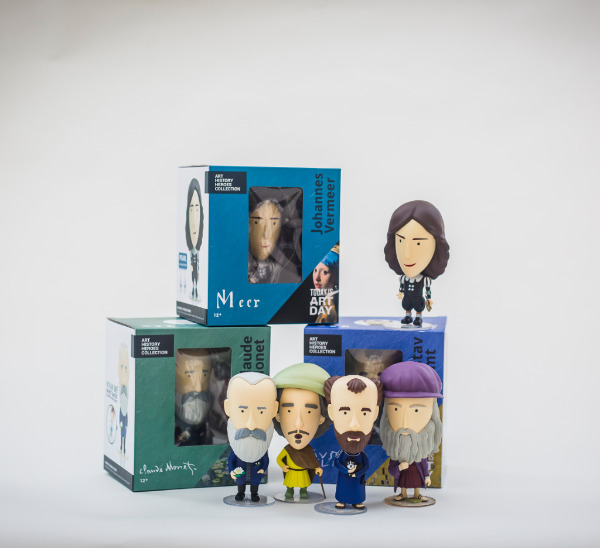 Score the perfect creative gift for them at Telfair Museums’ Jepson Center gift store! 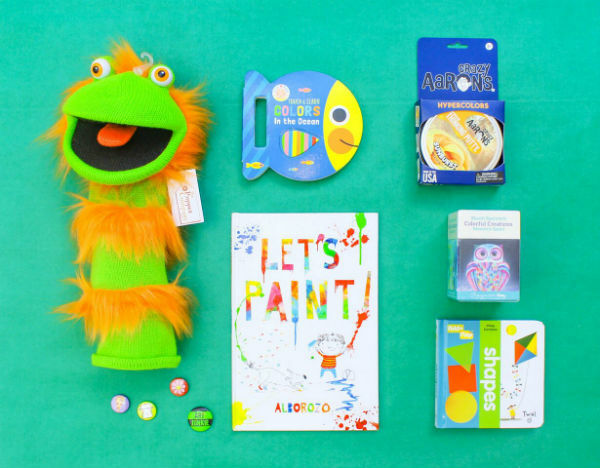 Inspire the next great artist with a variety of games, toys and educational books to keep their young minds engaged. Telfair museum members also enjoy a double discount throughout the month of December so it’s the perfect time to tick everyone off your list! Restrictions apply. Store open during regular museum hours. Museum admission is not required for you to come shop. 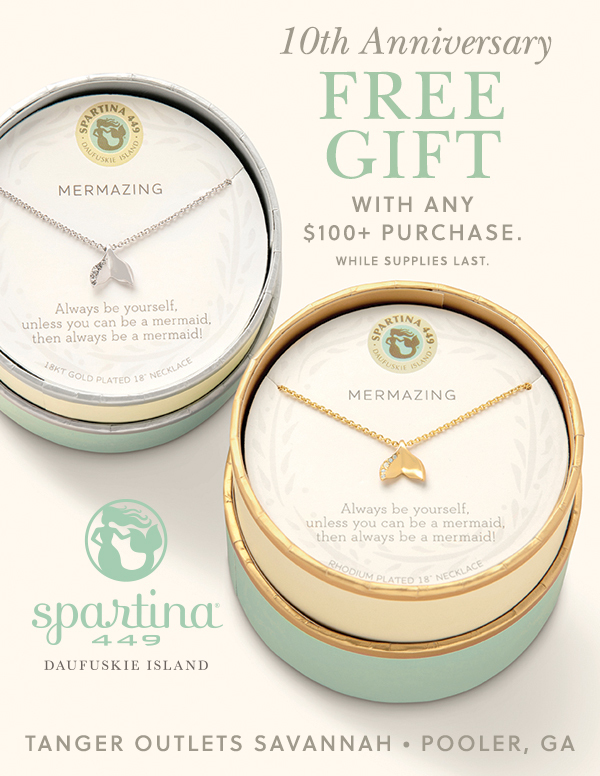 For more information, visit the store at the Jepson Center or call 912.790.8831. Give a gift that’ll continue to give this holiday season, a Telfair Museums membership! Whether it’s your child’s art teacher or that wonderful family that you get along with so well, this gift is sure to impress. A Telfair Museums membership not only offers unlimited admission to Telfair’s three sites, engaging programming and member discounts, but also gives back to those in need. Proceeds from membership purchases go toward educational programs for at-risk youth, art therapy outreach workshops for adults, and much more! The City of Savannah is offering a holiday parking deal every Thursday and Friday through Dec. 22. The first three hours in any city-owned garage is free. Any time over three hours is the daily rate. Garages included: Bryan Street, Liberty Street, Robinson garage on Montgomery Street, State Street Garage and the Whitaker Street Garage. High Cotton Kids is Savannah’s biggest upscale resale shopping event and THE place to find high-end boutique children’s brand clothing sizes 0-12, bedding, furniture, toys, baby equipment, maternity clothing and more at a fraction of the retail price. New merchandise will also be available from several local retailers. There will be something for everybody’s taste and budget from adorable smocked frocks to funky threads to even high cotton play clothes your kids will love to throw on all fall and winter. Come to High Cotton Kids’ Shop for a Cause Presale this Saturday, November 18th from 9-10 AM. 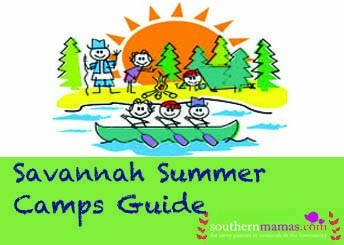 High Cotton Kids is partnering with the Humane Society of Greater Savannah. Please bring a $5 cash donation and shop one hour early, before the show opens to the public! Sat. Nov. 18 9-10 AM Shop for a Cause Presale . Check the details to shop early! Nourish is so excited to be offering parties at their Abercorn Street store, next to Lucky’s Market in Midtown Savannah. Small groups can enjoy creating natural bath products while celebrating together. Create your own glycerin soap, bath salts, lotion bars and more. Email partysavnourish@gmail.com or call 912-777-5479 for more information. Shelter Cove Towne Center, Hilton Head Is. Activities & entertainment includes visits from Santa & Mrs. Claus, Horse & Carriage Rides, Rock Wall, Skating Rink, Bounce Houses, Movies in the Park, Zip Line, Local Group Performances. 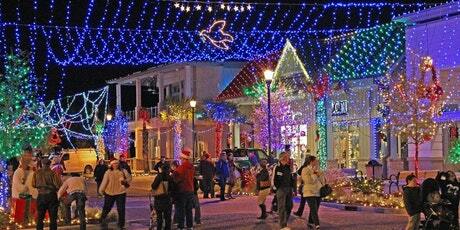 Park your car, stroll through the lights, enjoy nightly events. Part of proceeds to benefit People for Parks. Presented by Kroger, Belk & the merchants of Shelter Cove Towne Centre, ‘Tis the Season will run from Nov. 20 – Dec. 30 and will be open to the public nightly from 5:30-9PM. 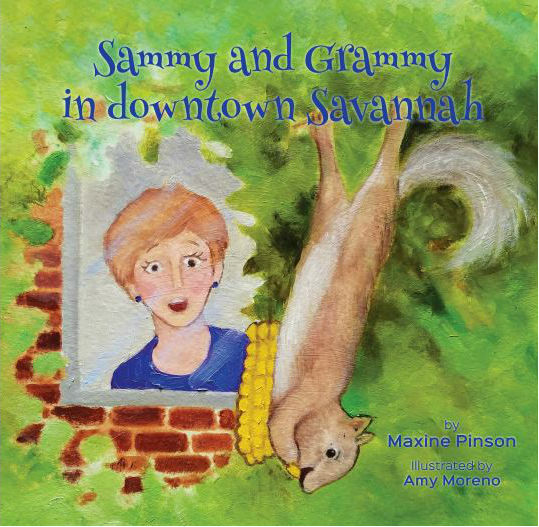 Sammy and Grammy in Downtown Savannah, a laugh-out-loud children’s book with valuable life lessons to be learned and written by local author, Maxine Pinson, is scheduled for release in early December 2017–just in time for holiday shopping! Readers of SouthernMamas.com are offered $1 off each book ordered, plus FREE shipping (up to 4 books sent to same address) if ordered by Dec. 1, 2017. Just visit www.sammyandgrammy.com, then go to “Where to Buy Book Page” and follow the directions. Please use PROMO CODE SM to receive your discount. Learn more about Savannah author Maxine Pinson here.